What had started out as a simple, run-of-the-mill luncheon had somehow turned into a major culinary event sponsored by Maggie Spritzer for her Sisters, known to their many adoring fans as the Vigilantes. Normal luncheons with the Sisters were usually done on the fly and, for the most part, held in favorite cafés or restaurants. When Maggie first came up with the idea, it was because she had a serious matter to discuss with the Sisters. She knew the luncheon would go into overtime, and at a public eatery, they would be rushed, hence this luncheon was in her own home in Georgetown. It was well known that Maggie was not a cook, not even a fair to middling one. Oh, to be sure, she could throw things together and manage somehow to make the result edible, but she much preferred takeout, which she warmed up and pretended that she’d prepared. She did, however, have one dish that always garnered praise, a broccoli, three cheese casserole that was beyond delicious. She always served it with a crisp garden salad, warm, tiny, spongy garlic rolls, and a peach cobbler straight out of the supermarket freezer section. No one ever complained, and there was never enough left to save, so Maggie was confident her luncheon menu would meet with the Sisters’ approval. Maggie took one last look at her dining-room table. She knew she should have used her once-a-year good dishes, but she’d just been too lazy to take them out and wash them, so she had opted for colorful hard plastic plates with an autumn theme. All gold, orange, and rustic brown. Her centerpiece was an arrangement of fall leaves that matched the plastic plates. All in all, she was satisfied. And she also knew the Sisters wouldn’t complain even if she served the food on Styrofoam plates, because things like that simply were not important. The timer in the kitchen went off just as the doorbell rang. Talk about timing. She grinned as she ran to the door with Hero, her cat, right on her heels. As always, the Sisters oohed and aahed over the delicious aromas as they hugged and squealed over seeing each other. Coats and jackets were hung up. It was the end of October, and there was a definite chill in the air. The Sisters all toasted Halloween, then sat back and waited, because they all knew Maggie’s casserole had to set for ten minutes before it could be scooped onto plates. “Are we celebrating something today, or is this just a get-together, dear?” Myra asked. “Well, speaking strictly for myself, I am all ears,” Kathryn said as she eyed the golden brown casserole sitting in the center of the table. Everyone knew and teased Kathryn that she had the appetite of a truck driver because she was an overland driver who handled her eighteen-wheeler like the pro she was. “Why don’t we be devilish today and break Charles’s golden rule that we don’t talk business while we eat?” Annie suggested. The others hooted that they were in agreement. “Any reason why you didn’t invite the boys?” Nikki asked. “Well, yeah, this is girls only. I thought we agreed to do that once a month,” Maggie said as she toyed with the serving spoon that would scoop up her casserole. “Okay, I get it. This is that once-a-month social gathering, plus some business, right?” Alexis grinned. “A hint, a clue, something would be nice,” Isabelle said as she popped a tiny garlic roll into her mouth. She rolled her eyes at the delectable delight. “Does whatever you have in mind involve just us girls or the boys at some point?” Nikki asked, the lawyer in her wanting details and facts. “What? What?” Annie exploded as Kathryn reached over to take the serving spoon out of Maggie’s hand. Reaching for the plates, she put spoon to casserole and filled them. “And what, dear?” Myra asked. “Make someone’s world brighter and happier. Save someone’s life. Do something for someone, or more than someone, who otherwise would stay in whatever position they’re in at the moment. 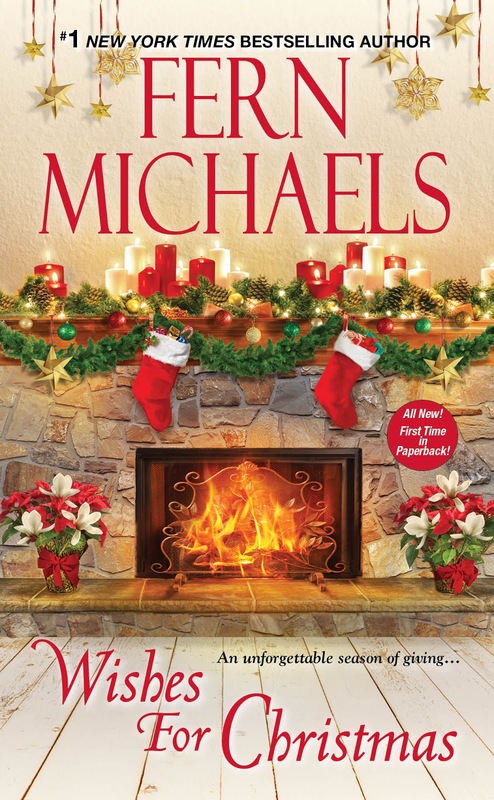 FERN MICHAELS is the USA Today and New York Times bestselling author of the Sisterhood and Godmothers series, and dozens of other novels and novellas. 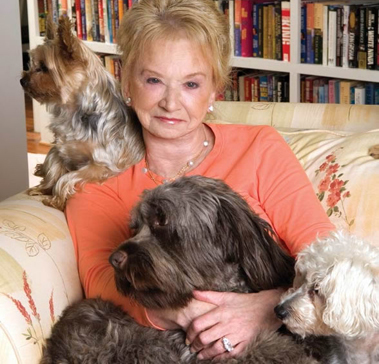 There are over seventy-five million copies of her books in print.